2.Accessories: standard export wooden cases. 3.We can do as your requirement. 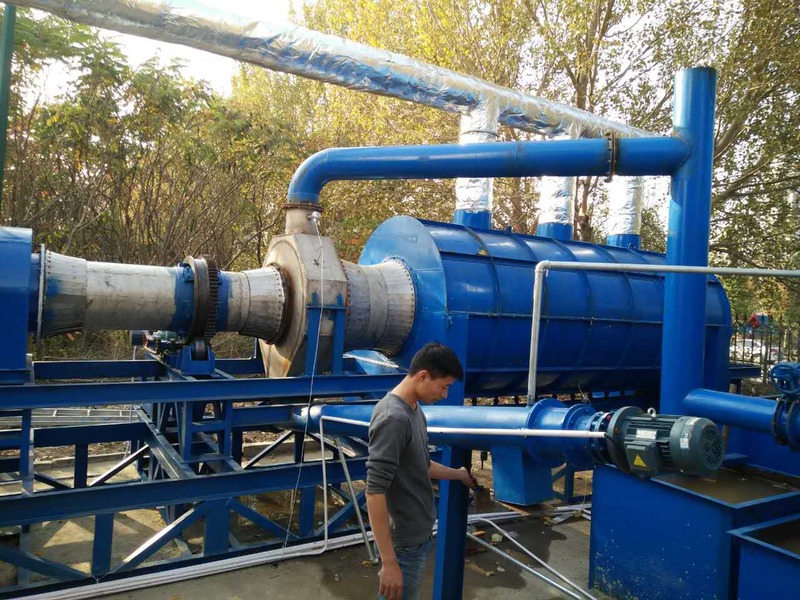 Beston Biomass carbonization plant is a system that can process the sawdust ,cocount ,wood ,rice husk and other biomass material /waste sludge into some profitable products like charcoal,wood vinegar,tar,combustible gas ,and can make profit for you. 1. Reactor: stainless steel 310s, thermostability. 2. 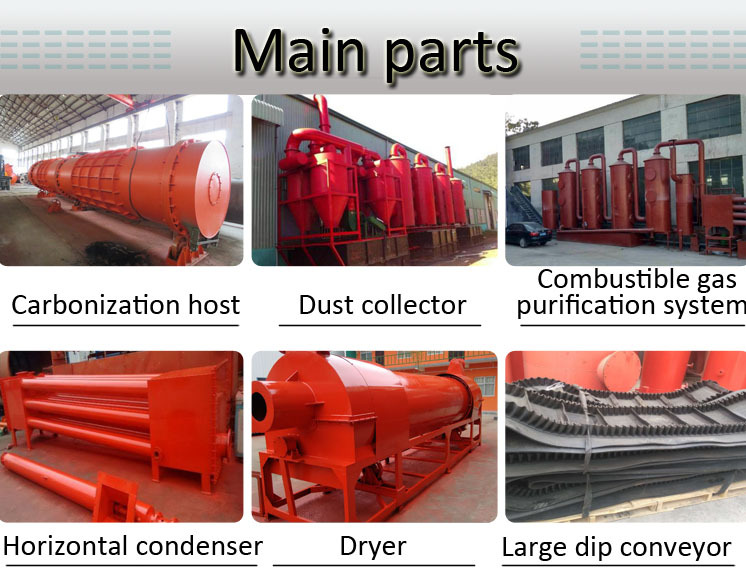 Large processing capacity, fully continuious, strong sense of science and technology. 3.De-dusting system, smoke emission meet EU standard. 4. 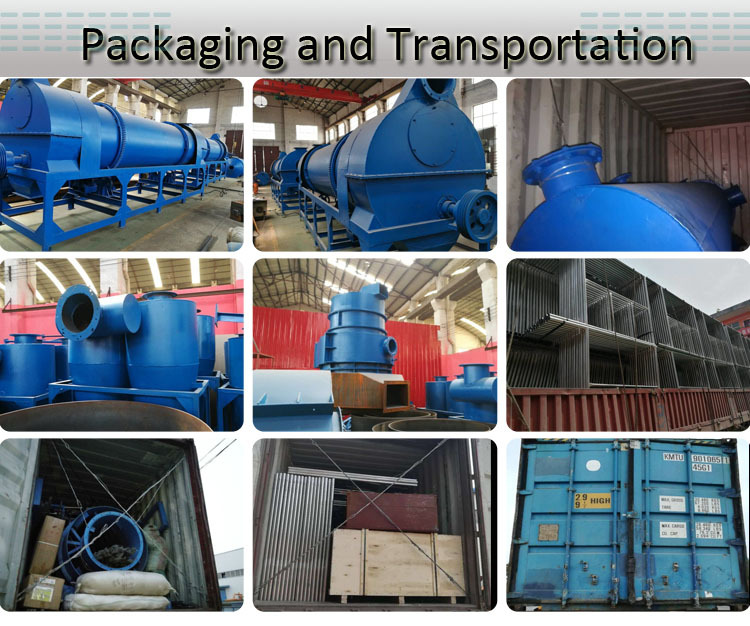 Automatic sealed discharging system, no dust flying. 5. Combustible gas recycled, save fuel. 35 working days after funds into account. 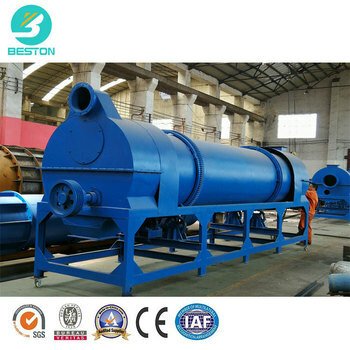 Beston (Henan) Machinery Co., Ltd was founded in 1998, which is an innovative and high -tech enterprise, incorporating research, manufacture, sales, service, import and export. 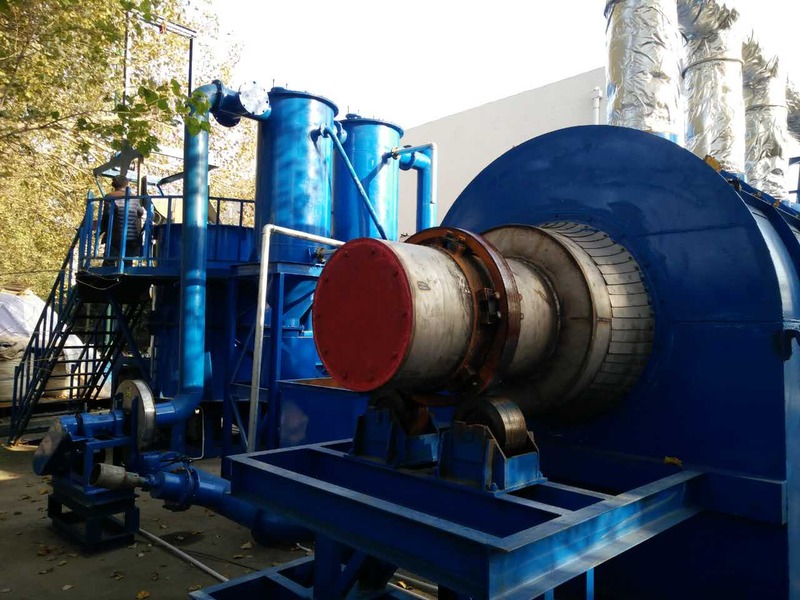 Specializing in the production of recycling production line, solid waste separation, indluding waste tyer, rubber and plastic pyrolysis plant, Oil distillation plant, Carbon black deep processing plant. 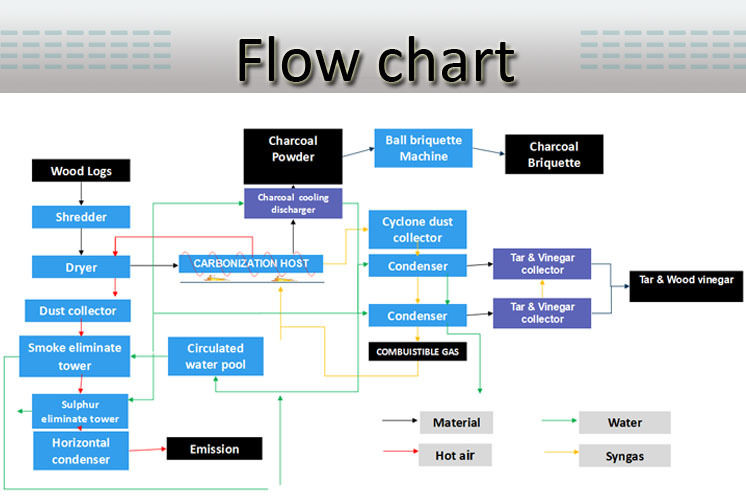 Through sophisticated organic polymer pyrolysisi technology and environmental and production equipment. 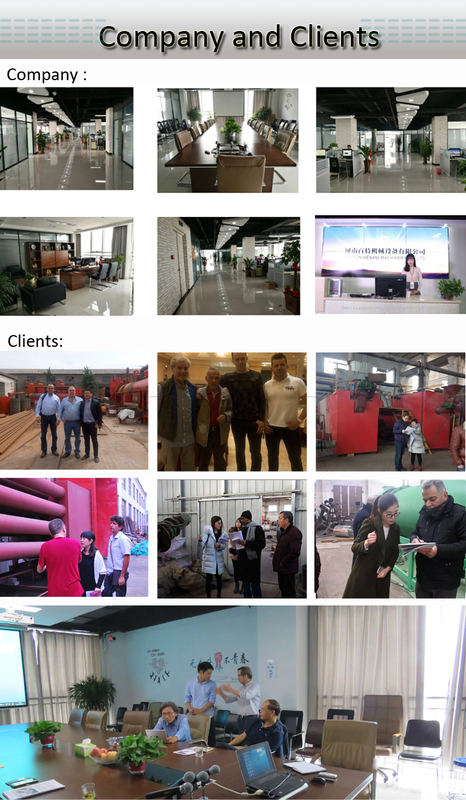 Since the factory was founded, it equips with advanced producution technology, frist -class quality products and personalized service philosophy, after 18 years of unremitting efforts, we have developed into the industry leader. we are committed to environmnetal protection industries, products certified by CE, ISO, etc.